This group from Dudley had four tracks released on a rare compilation album entitled “Brum Beat” that was put out by Decca Records in 1964. 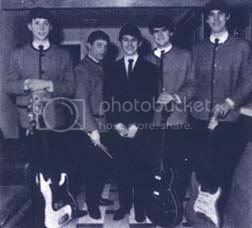 They were discovered on the “Regan Circuit” along with the other groups who recorded tracks for the Decca LP. The Strangers originated from a local rock ‘n’ roll band called The Marauders, initially known as “Rob Roy and The Rockin’ Marauders” who formed about 1960 while pupils at Dudley Grammar School. The Strangers were very active on Joe and Mary Regan’s famous “Regan Circuit” of dance halls in the West Midlands which included The Plazas at Old Hill and Handsworth, The Adelphi (West Bromwich) and The Ritz at King’s Heath. 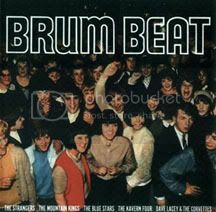 The band won a coveted spot on Decca’s “Brum Beat” LP compilation of West Midlands groups in 1964. The opening track on the album was an original composition by Roy “Dripper” Kent entitled “What A Way” and was certainly good enough to have been released as a single in its own right. A year later, The Strangers became the nucleus of the well known West Midlands group “Finders Keepers” when Roy Kent, Alan Clee and Jake Elcock formed that group in 1965 (see Finders Keepers). NOTE: The Dudley “Strangers” should not be confused with another group called The Strangers from Ireland who recorded for the Phillips Records label in the late 1960s.